We get people to places – managing group travel plans for sports teams, sponsors, spectators, press, schools and organisations. And with over 40 years’ experience, we’ve successfully managed travel plans for thousands of people each year – from athlete, team, media and spectator travel for events such as Formula One™, the America’s Cup and the FIFA World Cup, to organised group trips for international Scouting events and school tours. Travel Places work in association with American Express Global Business Travel – one of the world’s largest travel agency networks. This gives us unlimited access to an international, 24-hour support team, media relations, favourable exchange rates and the latest technology. Our team of travel specialists are in contact daily with the world’s best airlines and hotels giving unrivalled access to availability, prices and options. We’ve forged close relationships with each of our travel and accommodation partners meaning that we can always get you where you want to be – on time and on budget. Just because we’ve done it a thousand times before doesn’t mean we won’t take the same level of care and attention every time. We know our clients and industry contacts personally meaning we can tailor any travel plans – making each trip a personal journey. We offer our clients a dedicated account manager who’s always available to answer questions, give advice and offer recommendations for your specific circumstances. We don’t just provide travel management to anyone – we’re specialists in our specific fields of expertise. Each account manager sits within a dedicated team that focuses on either sports, Scouts and youth groups or school tour management. Our breadth of specialism allows our team to work together for the best results but also gives us deep insight into each area. 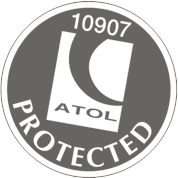 Travel Places hold licences with IATA, ATOL and ABTA, we are an assured member of the School Travel Forum (STF) and an accredited Learning Outside the Classroom Quality member. We pride ourselves on keeping calm under pressure and thinking of new creative ways to overcome challenges. We’ve managed the flights and transfers of international athletes, booked 6,871 journeys on bullet trains across Japan and got the world’s top F1 teams to their races on time. We’re always on hand to support you and have the knowledge and know-how to make complicated plans seem simple.